The 3-hour Ancient Jerusalem: City of David Tour meets at the Jaffa Gate, as your expert licensed guide takes you back in time 6,000 years to uncover the archaeological secrets of the City of David and the Old Testament. Not for the faint-hearted – expect underground tunnels, narrow passageways and some wading through water on this incredible, adventurous tour. For centuries, historians could not understand King David’s mysterious reference in the Old Testament to Jerusalem being captured. 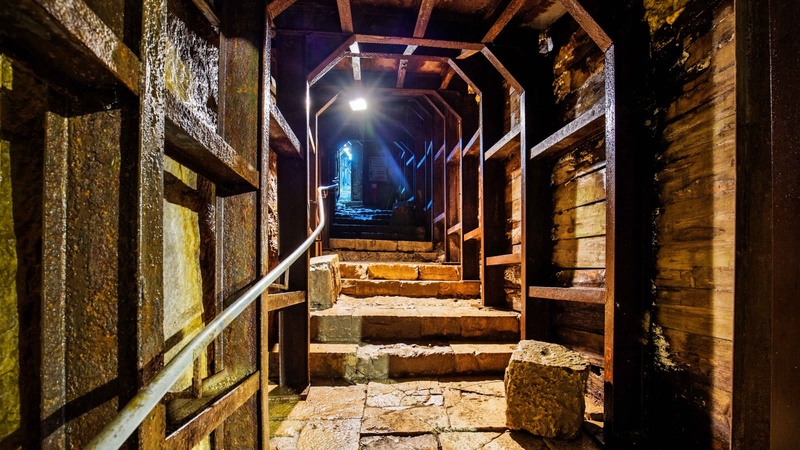 However, in the past 150 years, intense research has been focused on the underground tunnels visited on this tour, and historians now believe it’s here, in the part of the tunnels known as Warren’s Shaft, that David’s capture of Jerusalem took place. As these historic waterways provided water from the Gihon Spring, Jerusalem’s only water supply, the tunnels were fiercely protected. 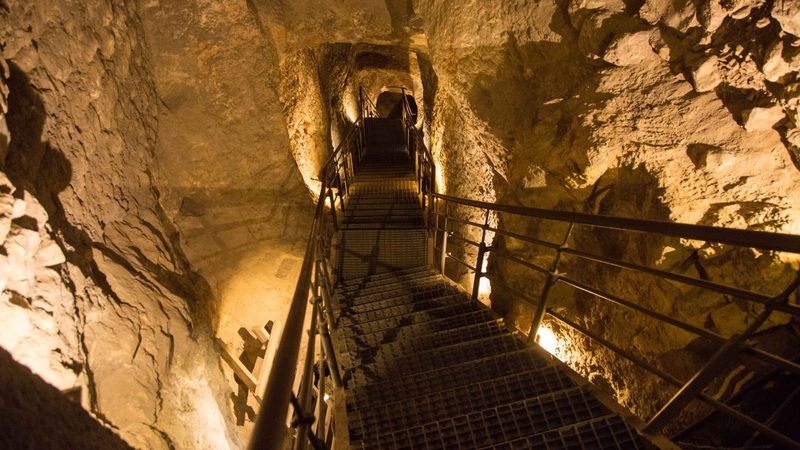 On this three-hour tour, you’ll discover some of Jerusalem’s most important ancient sites, such as the Silwan Necropolis, holding the tomb of the Phaoroh’s daughter, Jerusalem’s early water system, and also its first palace; we ask, did King David himself live here? This is not your standard walking tour. 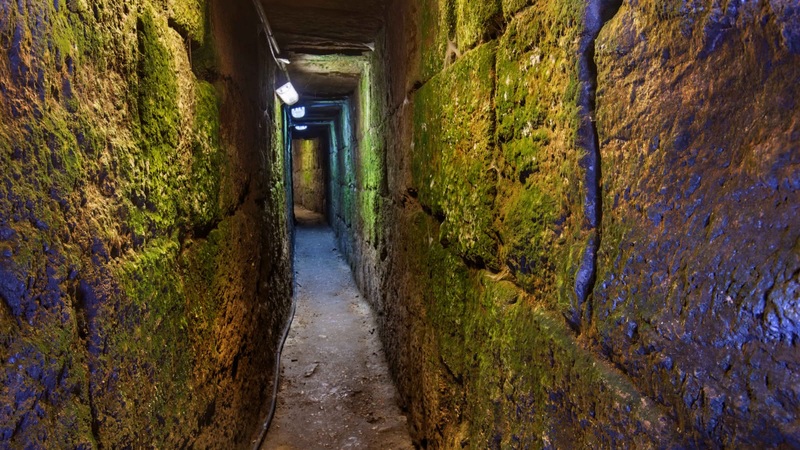 As part of the tour is underground, you will navigate through narrow tunnels , it is not for the faint-hearted. However, if you can brave it, your reward will be some of the most incredible archaeological sites in one of the holiest places on Earth. Jerusalem’s first palace - was King David here? We just came back from an awesome tour of the city of David with Allan from Sandemans. He was an exceptional guide: knowledgeable, personable, understanding. He took 35 of us on an unforgettable tour. The C of D excavation has only been accessible over the past decade and it was worth the wait. You climb through tunnels and drainage tunnels, and look down at excavations. Wear comfortable non slip walking shoes. You will feel like you’ve been on a challenging hike by the end of the day. We did the City of David Tour with Gary as our tour guide today. Gary did a great job and is an absolute enthusiast when it comes to the history and archeology of this place. We highly recommend his tour. Great background knowledge, spectacular views! Matt gave us an amazing tour! He is American and has lived in Israel for the last 14 years. I enjoyed his knowledge of history and religion and the way he explained us everything. This place is worth seeing both if you are interested in the history of Jerusalem, as well as if you are a religous person... And Matt is a great tour guide! My wife and I very much enjoyed Allan's walking tour. Very informative and insightful. We highly recommend. 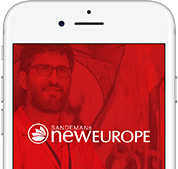 The Sandemans walking tours of Jerusalem are the best ways to discover the amazing historic levels of the old city. We did 4 of these during our 6 day stay. Starting with the free tour then the ancient city tour, the Mount of olives tour and finally the City of David tour. Our guides were all fantastic at bringing to life the wonders of the city.